The United Church of Bacon does not accept monetary donations. We ask our members and supporters to donate directly to charities that are in line with our beliefs. In addition to sending donors to approved groups one at a time, we’ve also run major funding drives for select charities, often those in the secular community that support our goals of separation of church and state and ending discrimination against atheists. Please consider contributing to one of the following recommended non-profits. These groups do good work that pleases the God of Bacon. Please donate, join their newsletters, and follow them on social media. 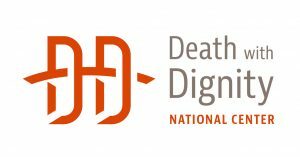 Death With Dignity promotes Death with Dignity laws based on our model legislation, the Oregon Death with Dignity Act, both to provide an option for dying individuals and to stimulate nationwide improvements in end-of-life care. 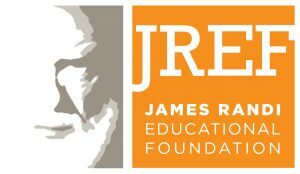 James Randi Educational Foundation was founded in 1996 to help people defend themselves from paranormal and pseudoscientific claims. The JREF offers a still-unclaimed million-dollar reward for anyone who can produce evidence of paranormal abilities under controlled conditions. Through scholarships, workshops, and innovative resources for educators, the JREF works to inspire this investigative spirit in a new generation of critical thinkers. Leukemia and Lymphoma Society’s Light the Night Charity Walk has a team sponsored by the Foundation Beyond Belief, to do good and to show that secular people are community volunteers too. Previously they raised more than any other non-profit team for this cause. Opportunity Village is also supported by UCB. It’s a not-for-profit organization that serves people in the Southern Nevada community with intellectual disabilities, to enhance their lives and the lives of the families who love them. Opportunity Village is dedicated to helping people with severe intellectual and related disabilities become the very best they can be. Through vocational training, community employment, day services, advocacy, arts and social recreation, citizens with severe disabilities are able to find new friends, realize future career paths, seek independence and community integration and unleash creative passions. 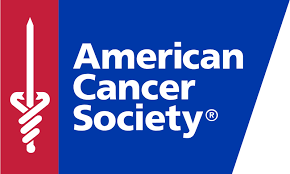 American Cancer Society is on a mission to save lives, celebrate lives, and lead the fight for a world without cancer. As we all know, when cancer strikes, it hits from all sides. That’s why we’re committed to attacking cancer from every angle. With more than 100 years of experience and leadership, we are a global force, fighting all cancers on all fronts, across the US and around the globe. 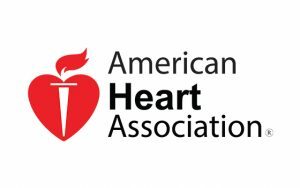 American Heart Association is the nation’s oldest and largest voluntary organization dedicated to fighting heart disease and stroke. Founded by six cardiologists in 1924, our organization now includes more than 22.5 million volunteers and supporters. We fund innovative research, fight for stronger public health policies, and provide critical tools and information to save and improve lives. Our nationwide organization includes 156 local offices and more than 3,000 employees. We moved our national headquarters from New York to Dallas in 1975 to be more centrally located. The American Stroke Association was created as a division in 1997 to bring together the organization’s stroke-related activities. Marie Curie is there for people living with any terminal illness, and their families. They offer expert care, guidance and support to help them get the most from the time they have left. 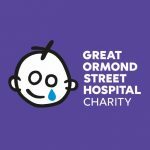 Great Ormond Street Hospital for Children provides inspirational and world-class care to hundreds of children every day. But we need to raise over £50 million every year to help give hope to very sick children and their families. American Atheists is dedicated to working for the civil rights of atheists, promoting separation of state and church, and providing information about atheism. American Humanist Association has stood as the voice of humanism in the United States for over 70 years. Freedom From Religion Foundation promotes the constitutional principle of separation of state and church and educates the public on matters relating to nontheism. Las Vegas Coalition of Reason (Las Vegas CoR) is made up of local groups in Southern Nevada. We are freethinkers, humanists, skeptics, atheists, and agnostics. Military Association of Atheists & Freethinkers educates government and military leaders about the issues of interest to members of the US Armed Forces who don’t believe in God. Military Religious Freedom Foundation is dedicated to ensuring that all members of the United States Armed Forces fully receive the Constitutional guarantee of religious freedom. Over 40,000 active duty, veteran, and civilian personnel of the United States Armed Forces have come to our foundation for redress and assistance in resolving or alerting the public to their civil rights grievances. 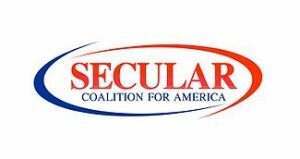 Secular Coalition for America is a 501(c)(4) nonprofit advocacy organization whose purpose is to amplify the diverse and growing voice of the nontheistic community in the United States. We are located in Washington, D.C. for ready access to government, activist partners and the media. Our staff lobbies the U.S. Congress on issues of special concern to our constituency. Secular Student Alliance empowers secular students to proudly express their identity, build welcoming communities, promote secular values, and set a course for lifelong activism. We envision a future in which secular students lead meaningful and fulfilling lives, thrive as valued members of society, and provide visionary leadership committed to humanistic ideals and critical inquiry. 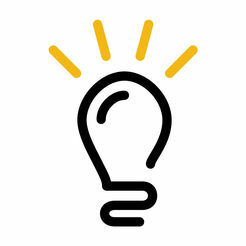 Should we add your 501(c)(3) charity to our list of recommended groups? Submit an application.